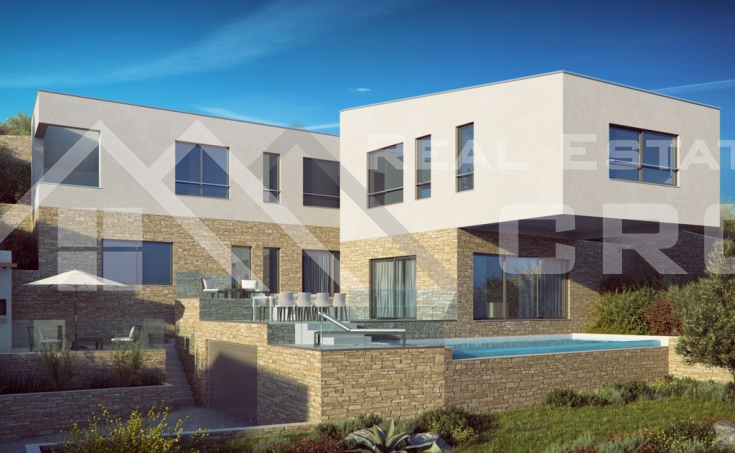 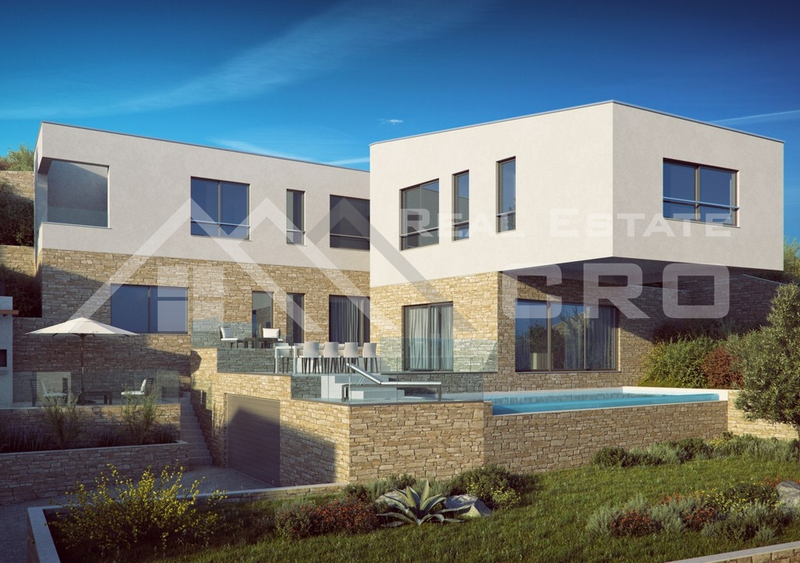 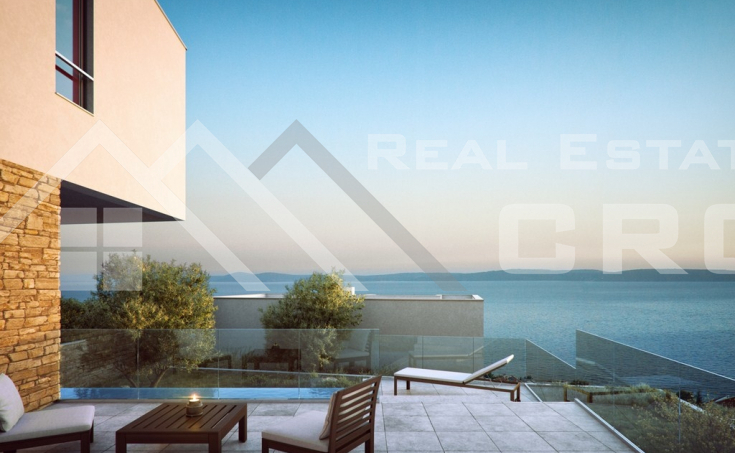 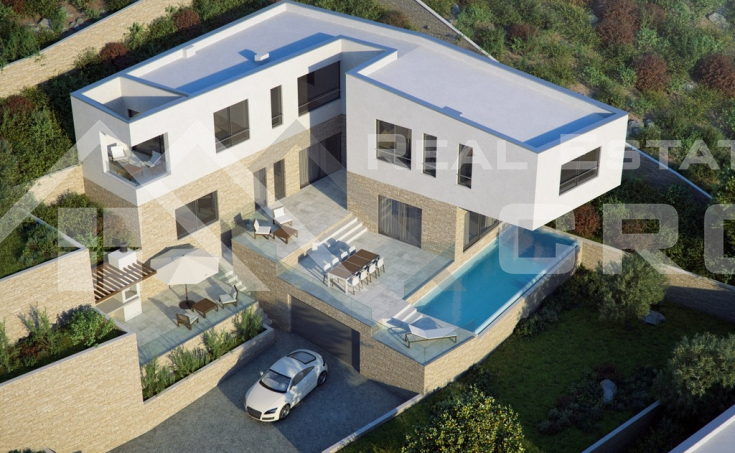 We are selling a luxurious villa under construction on the island of Ciovo. 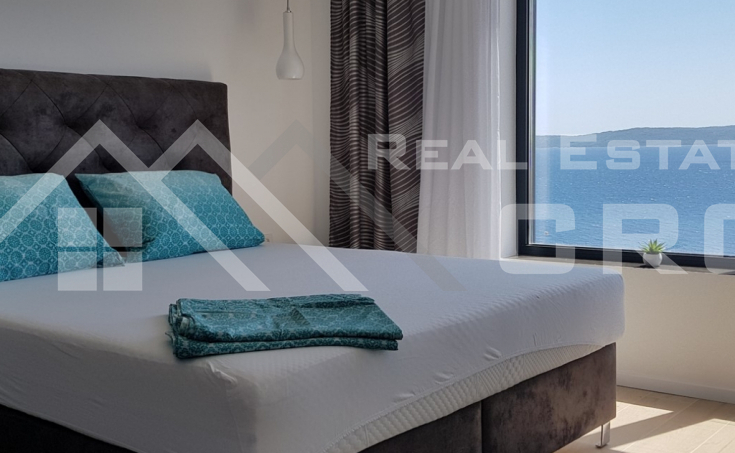 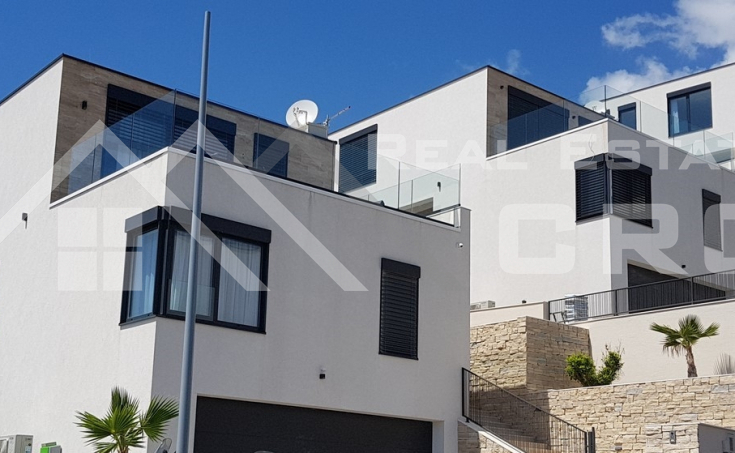 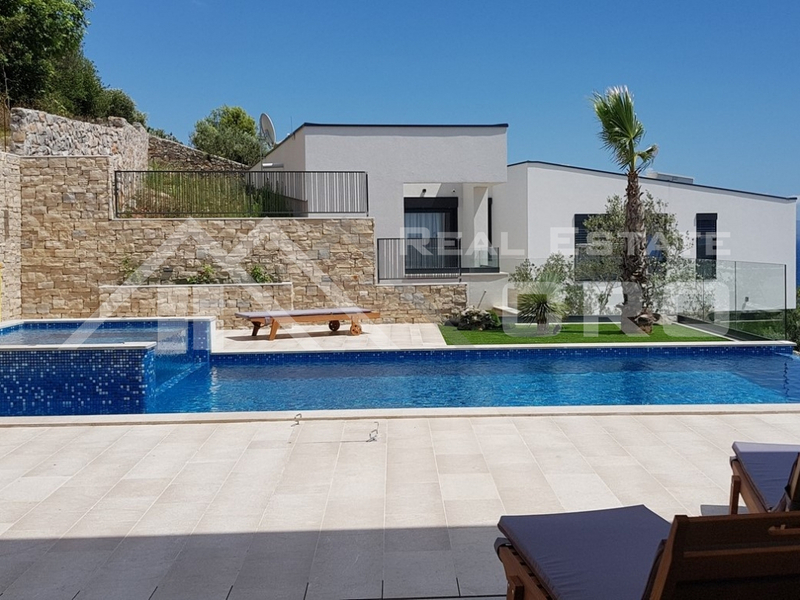 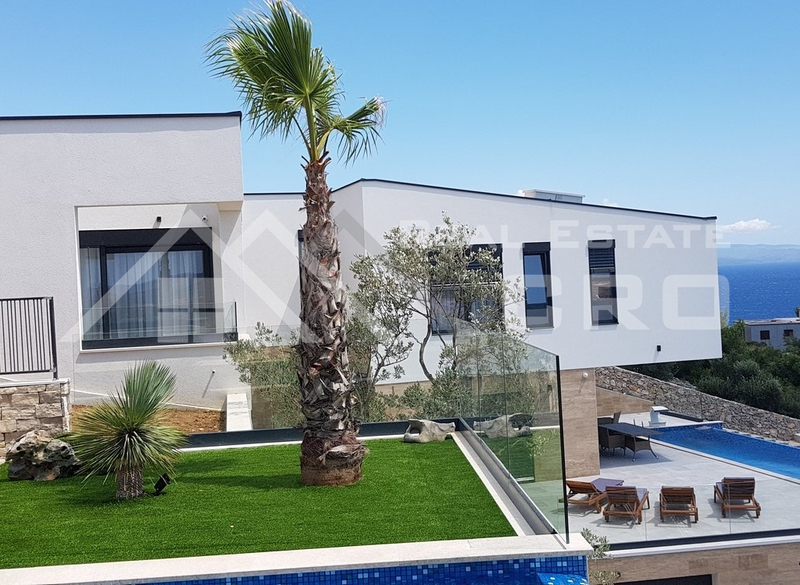 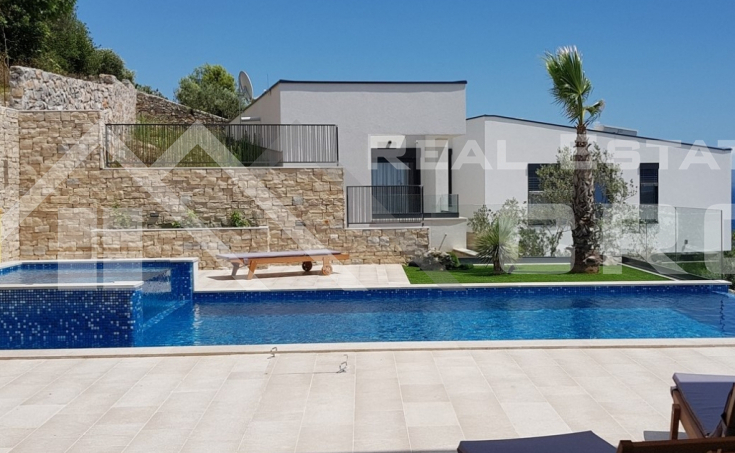 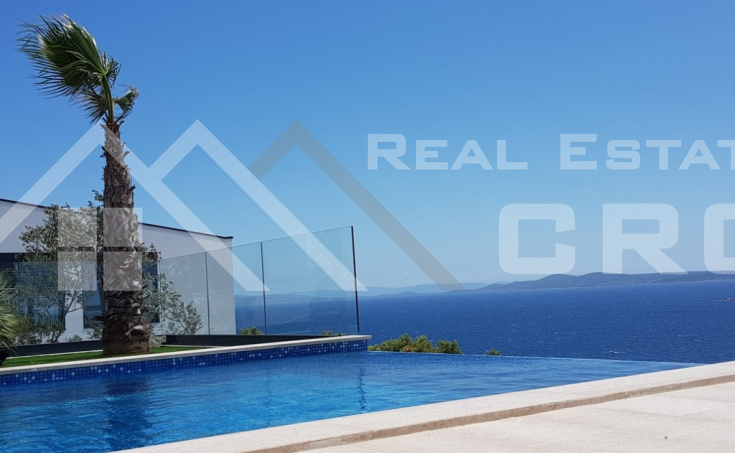 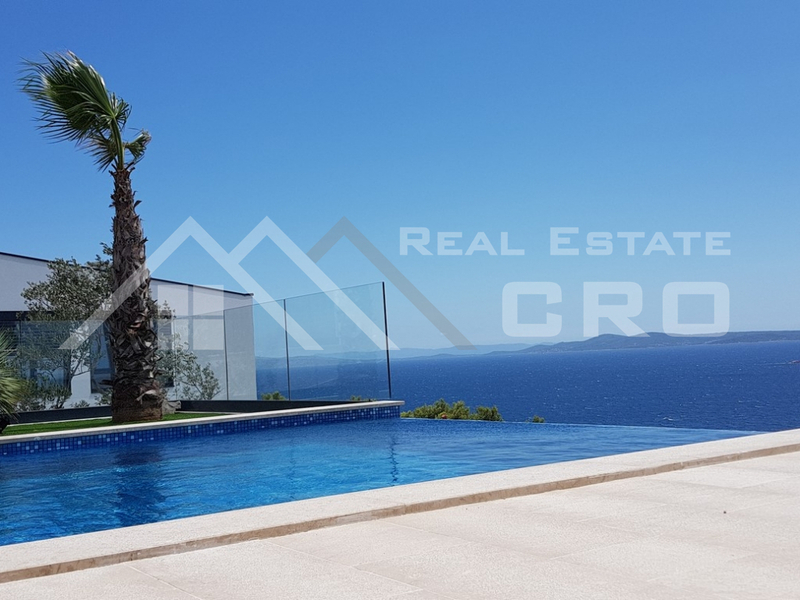 This modern and exclusive villa is situated on an attractive location on Ciovo island and enjoys a breathtaking sea view that cannot be obstructed, while crystal clean sea and beautiful stone and pebble beaches are just a few minutes walking away. 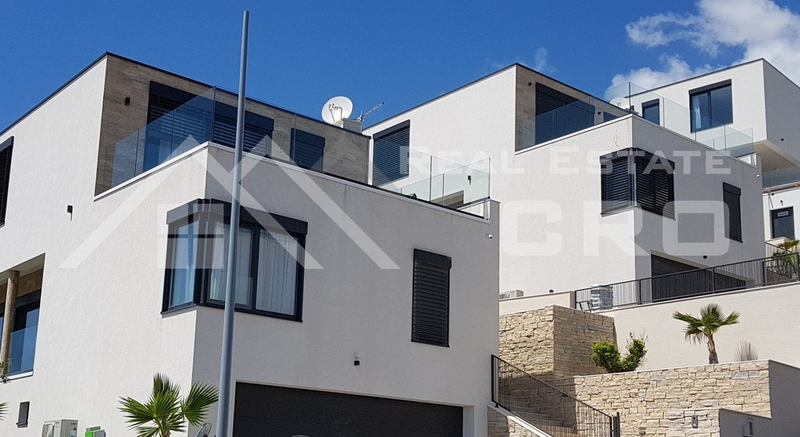 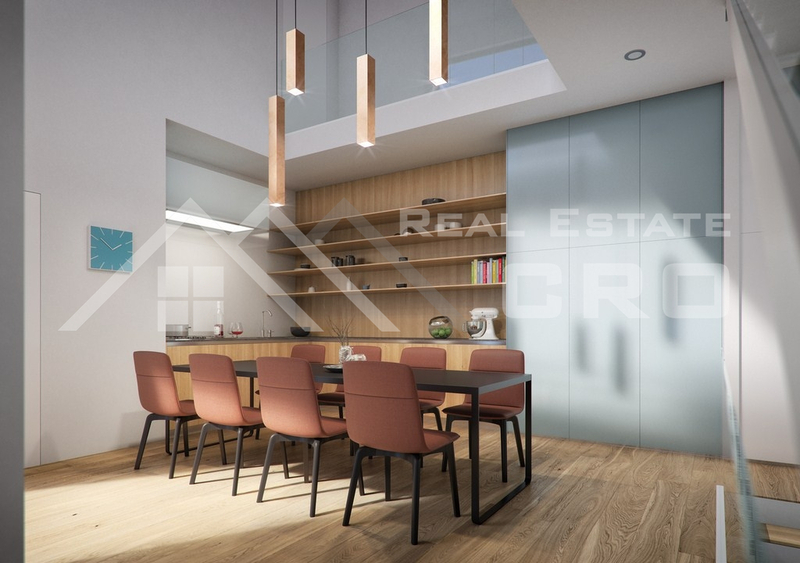 The property is built on a lot sizing 596 m2, with gross area of 350 m2 distributed on three floors connected by inner staircase. 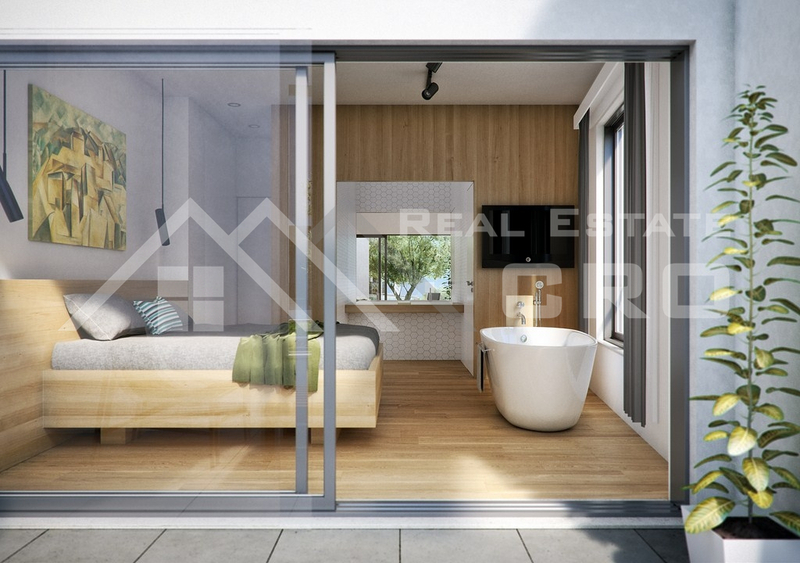 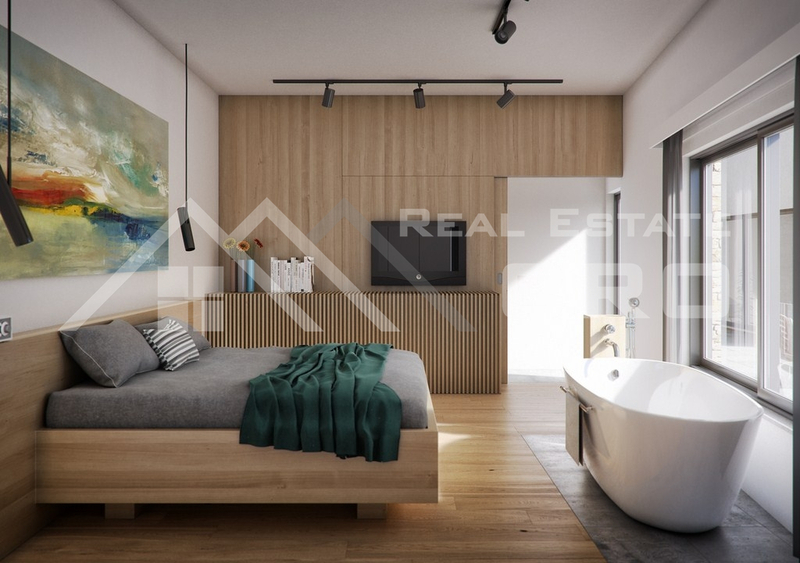 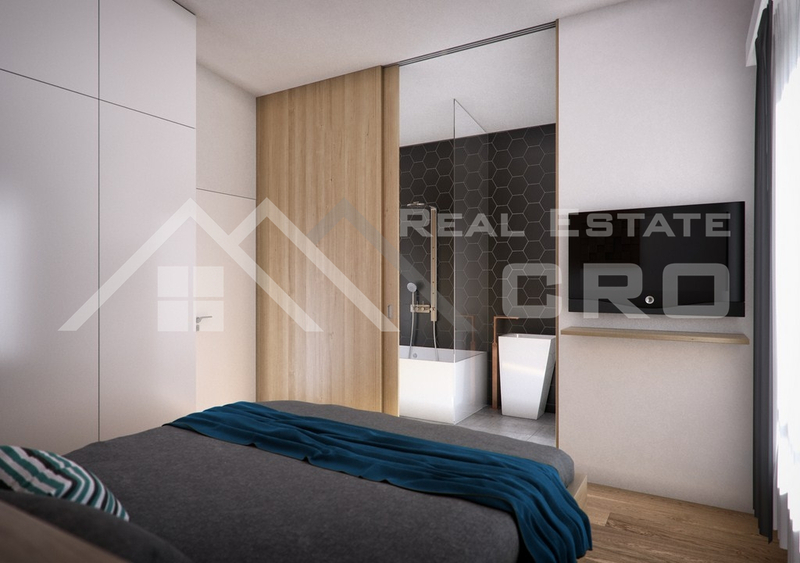 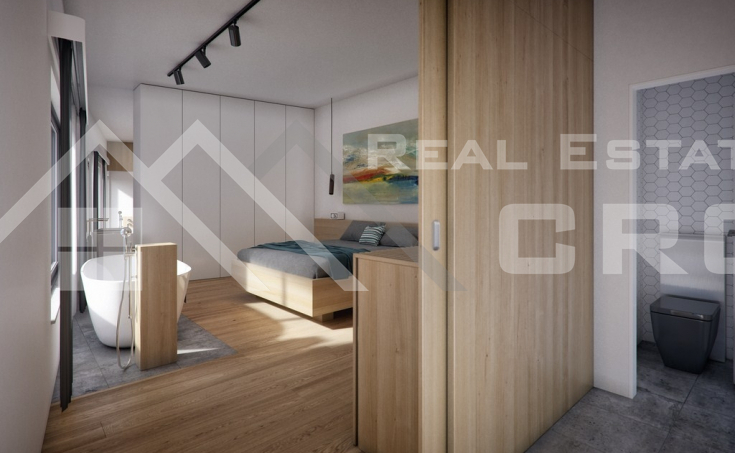 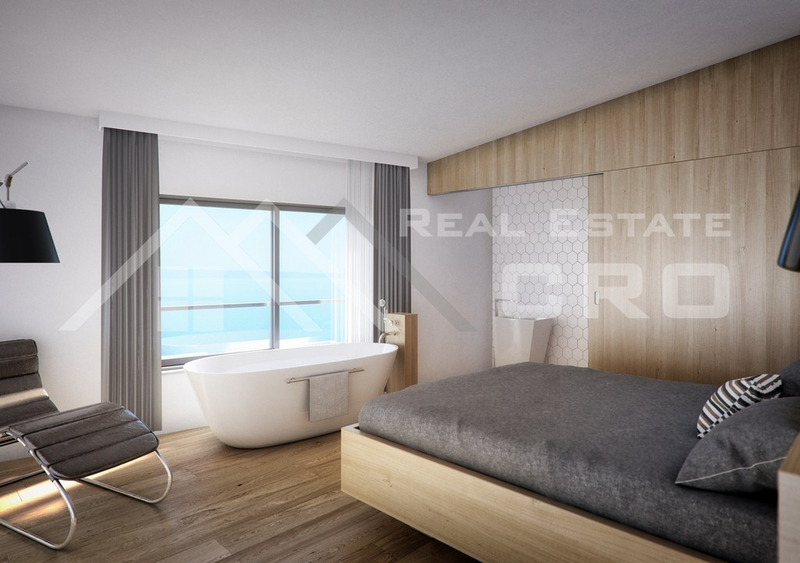 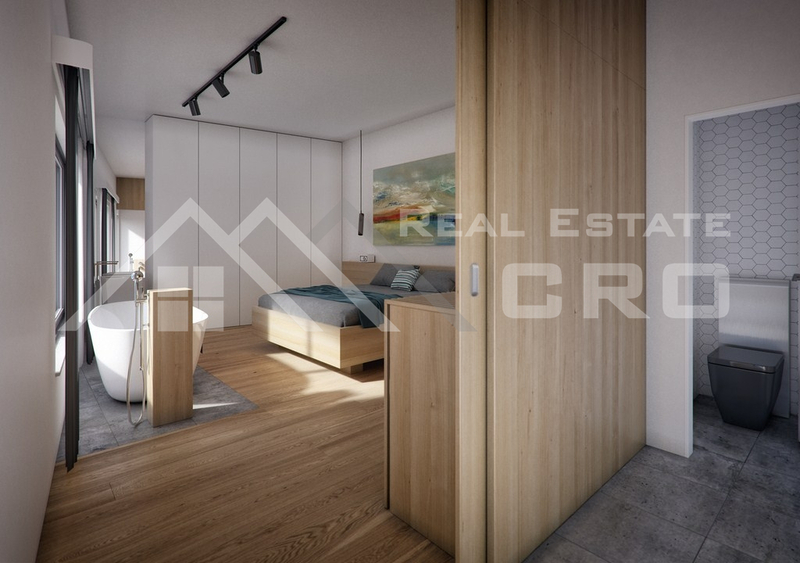 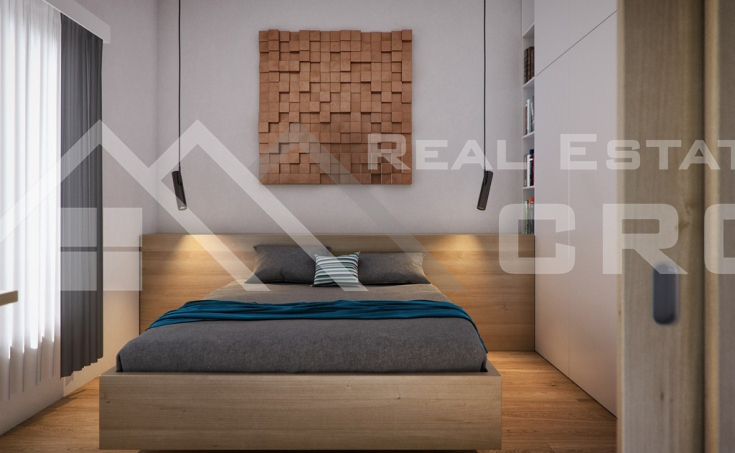 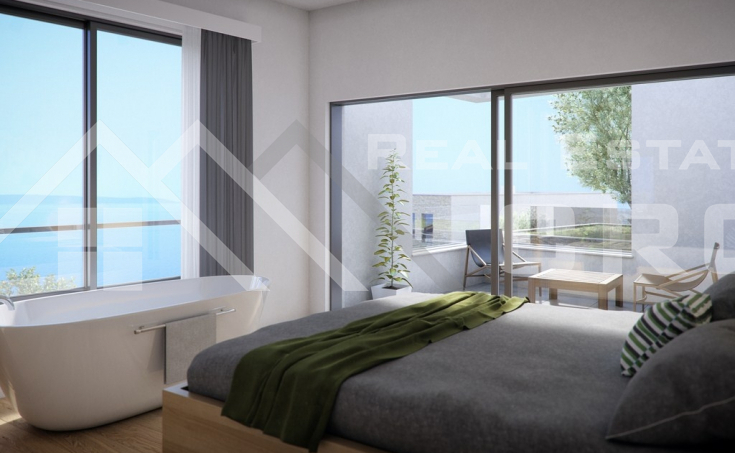 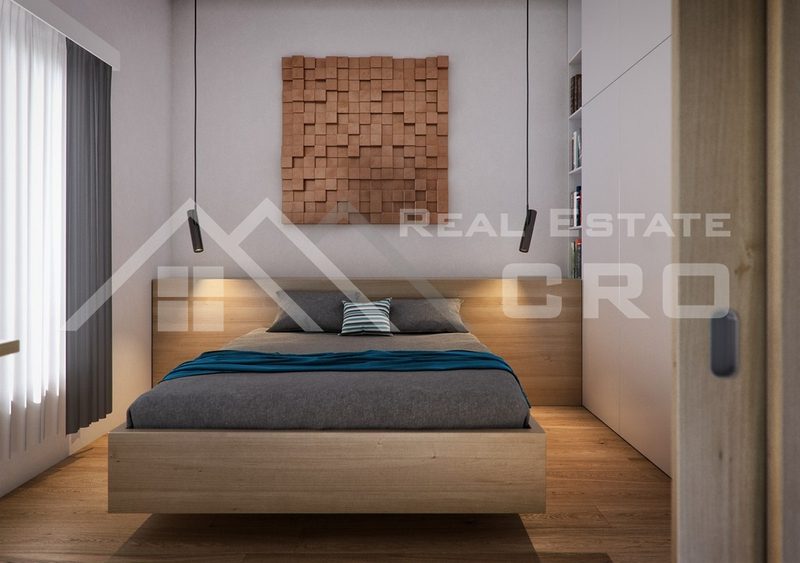 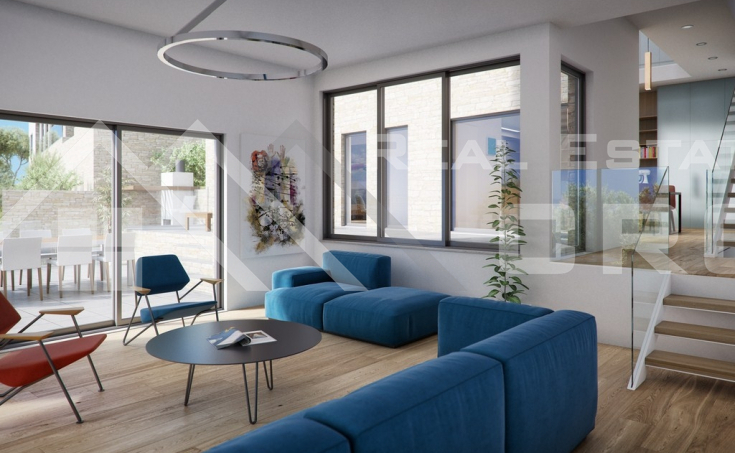 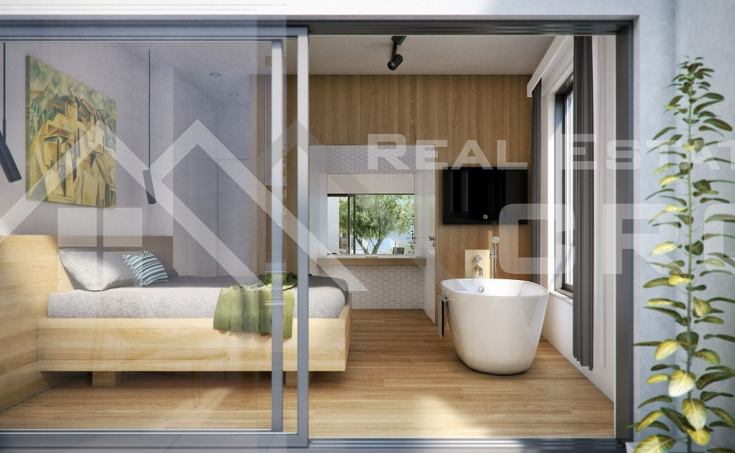 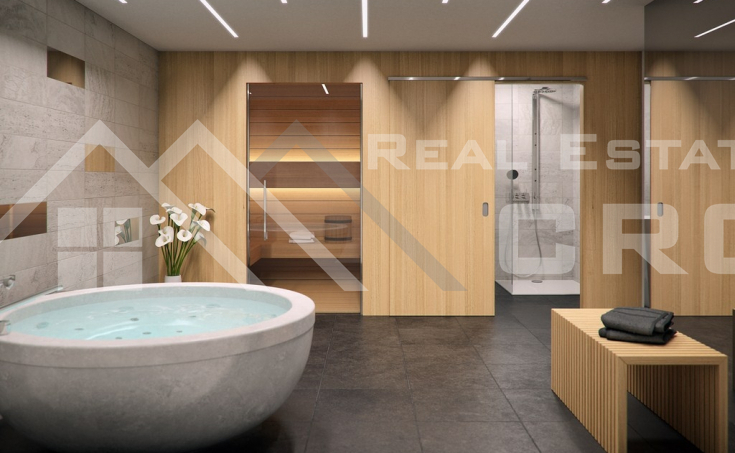 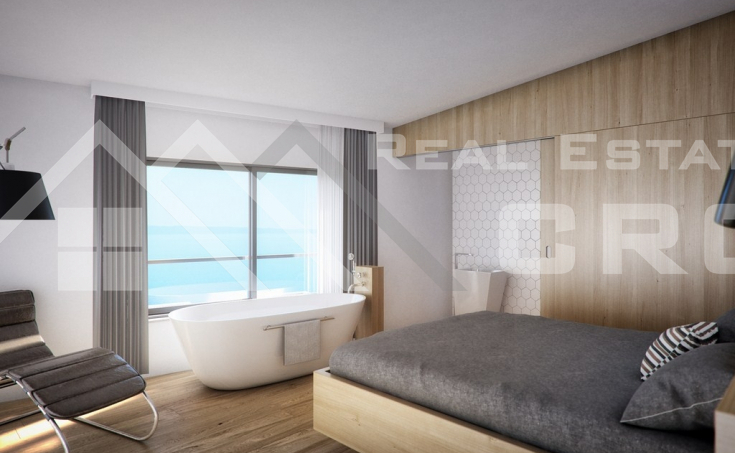 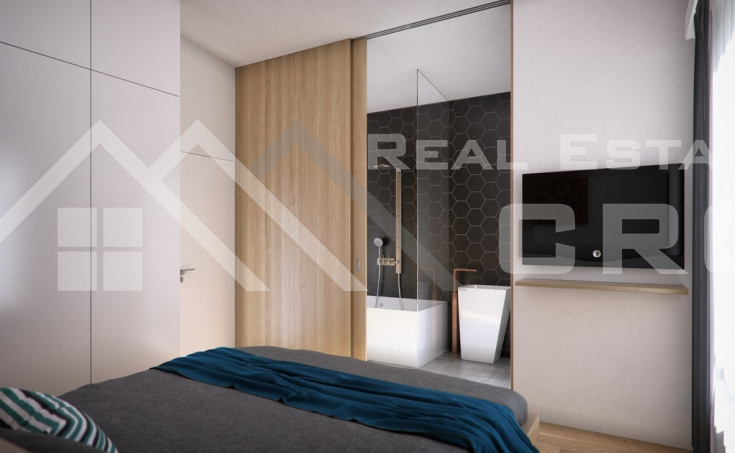 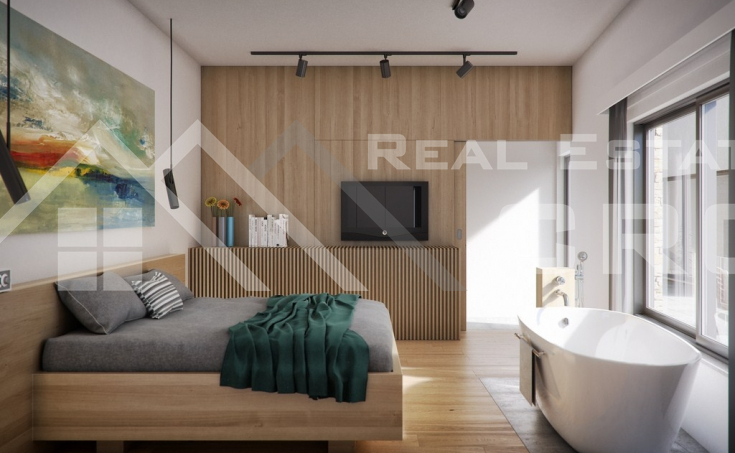 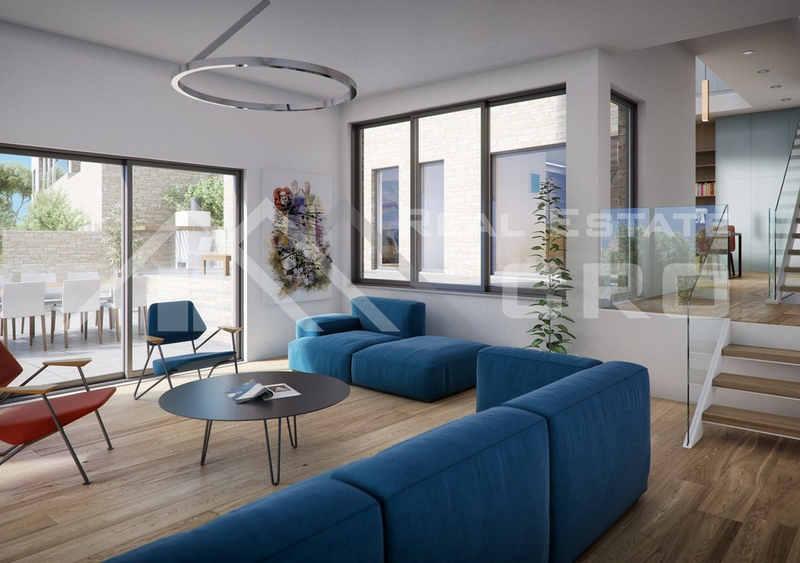 The first floor is intended for recreation and relaxation, so that a fitness room and a sauna with a bathroom are situated there, as well as a store room and a smaller studio apartment. 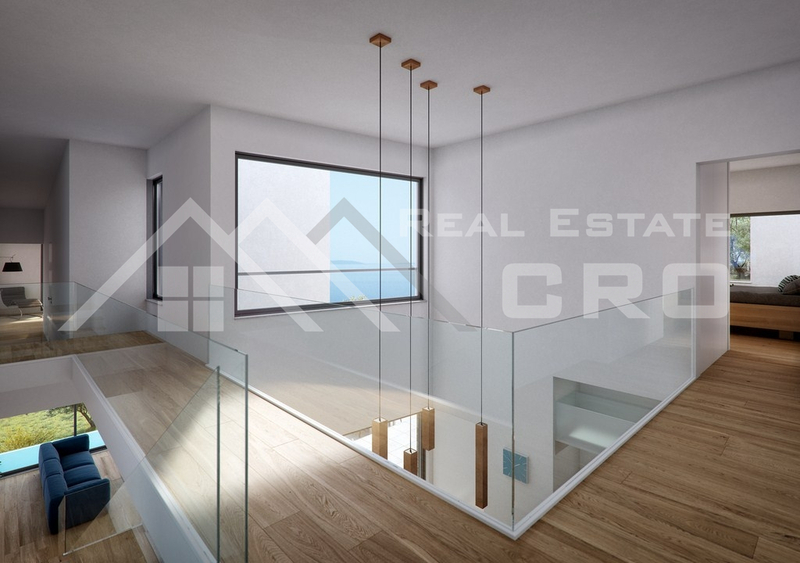 On the same floor there is a large garage that has enough parking spaces for several cars. 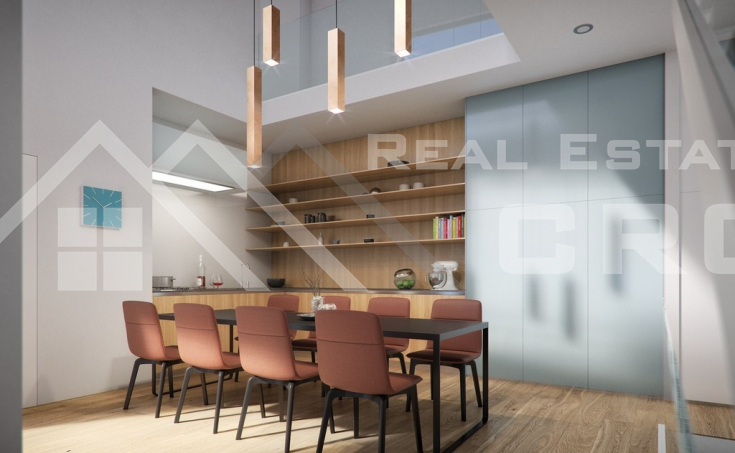 The second floor is designed as a comfortable and luxurious living space with an open plan kitchen, living room and dining room. 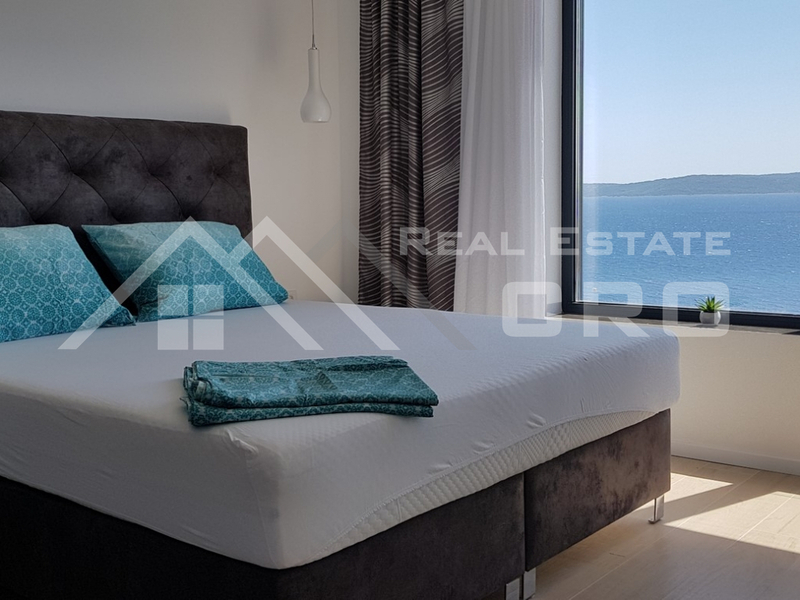 This area has a direct access to a spacious terrace with a big pool and a stunning view over Adriatic sea and nearby islands, while its perfect orientation provides plenty of sun throughout the day. 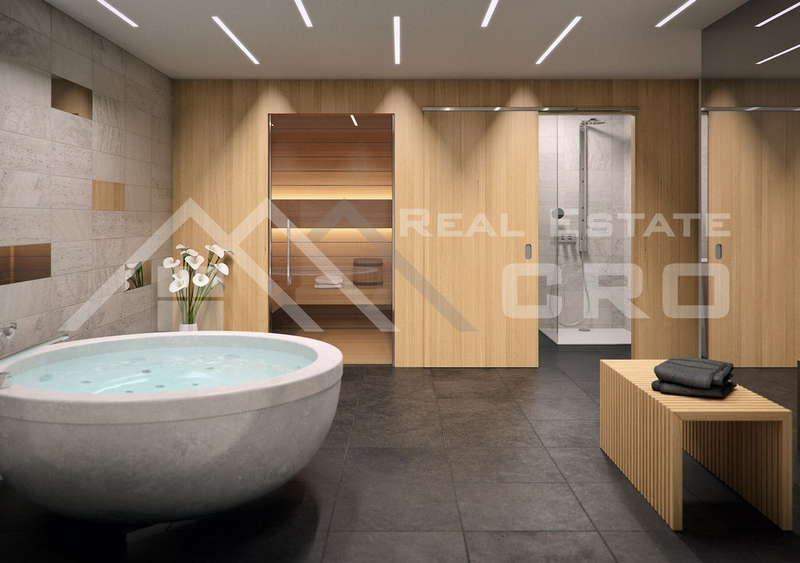 On the first floor there is also a toilet and a store room. 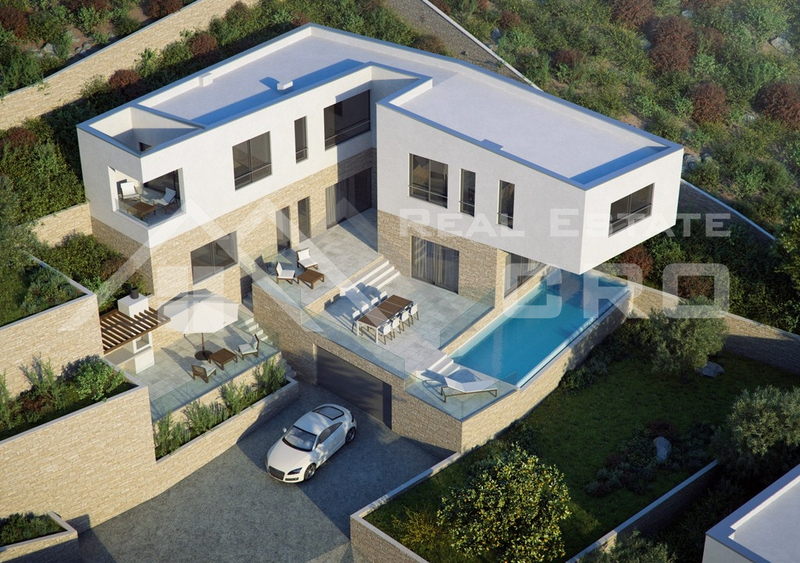 Three bedrooms occupy the top floor of the villa, each of them with an en-suite bathrooms. 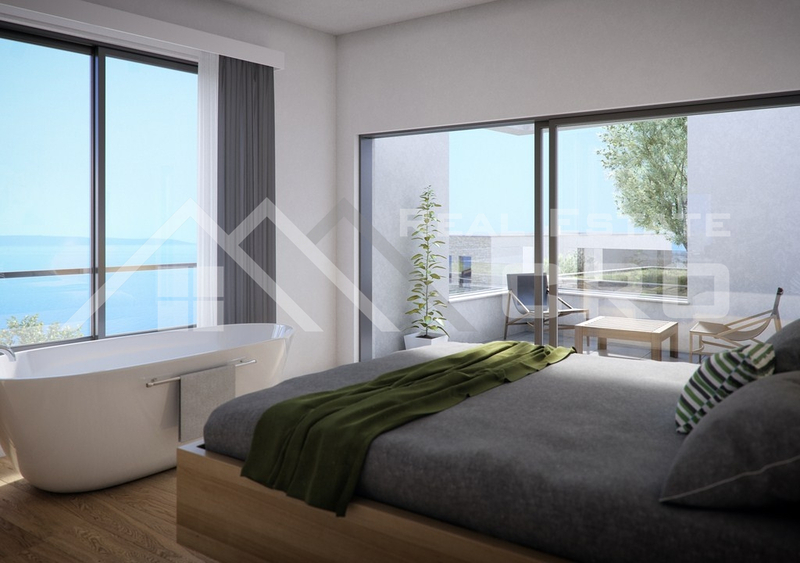 One of the bedrooms has an access to a smaller uncovered terrace that also offers a fascinating sea view. 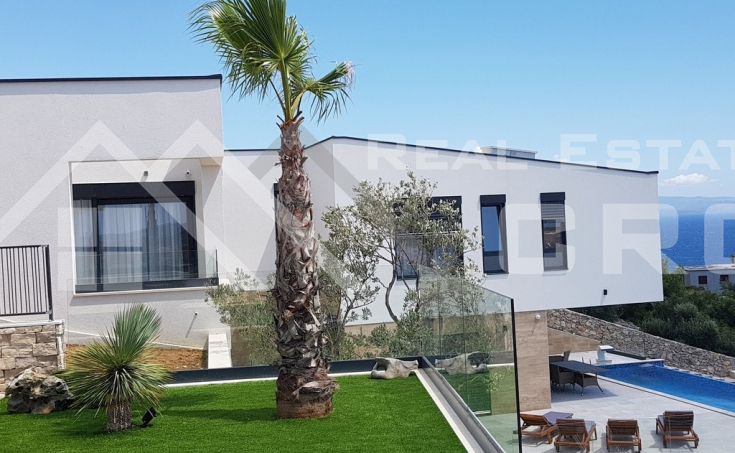 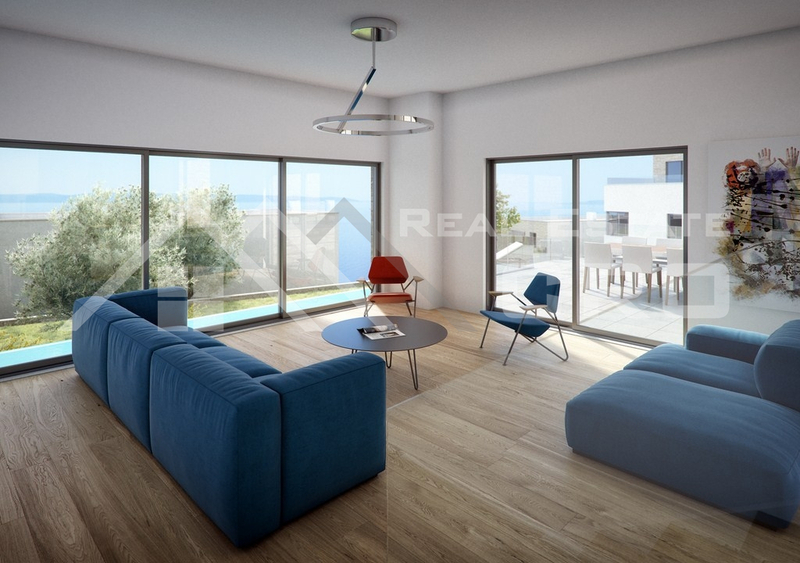 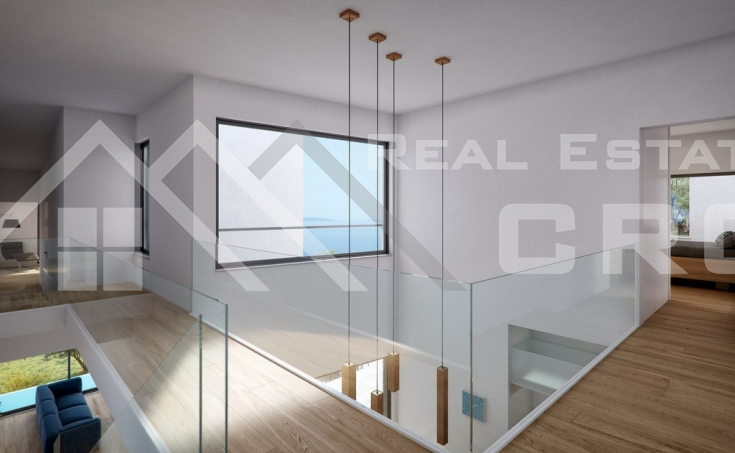 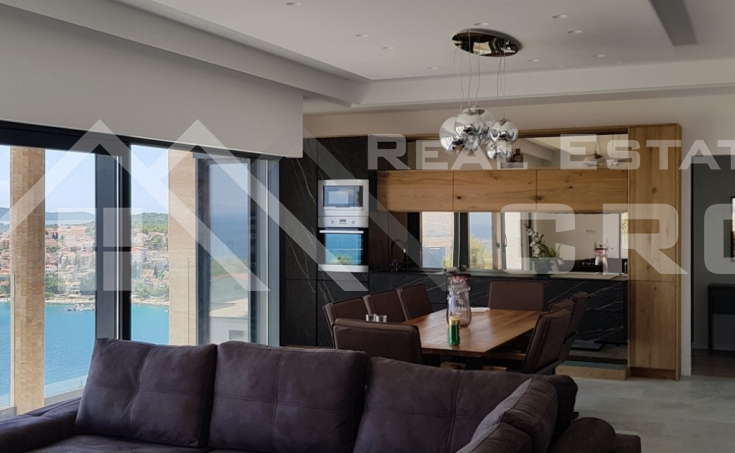 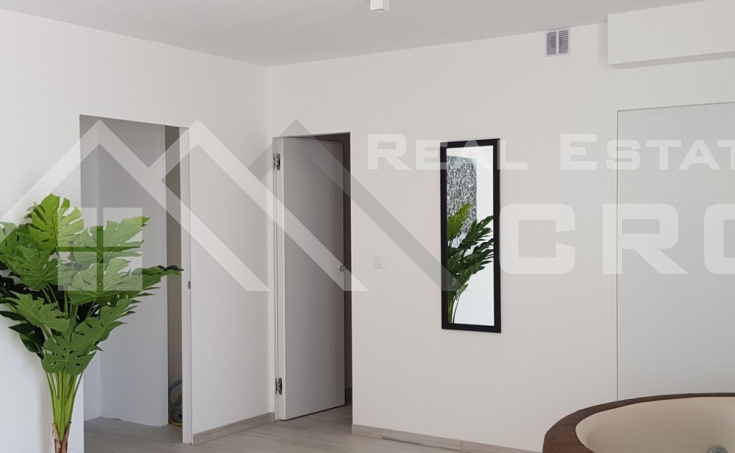 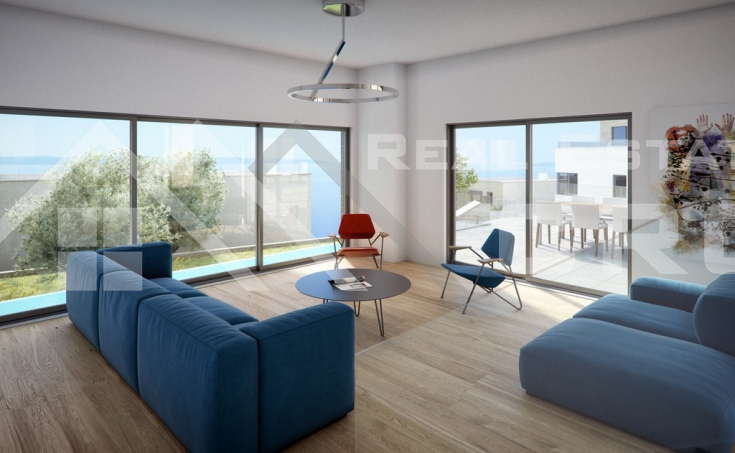 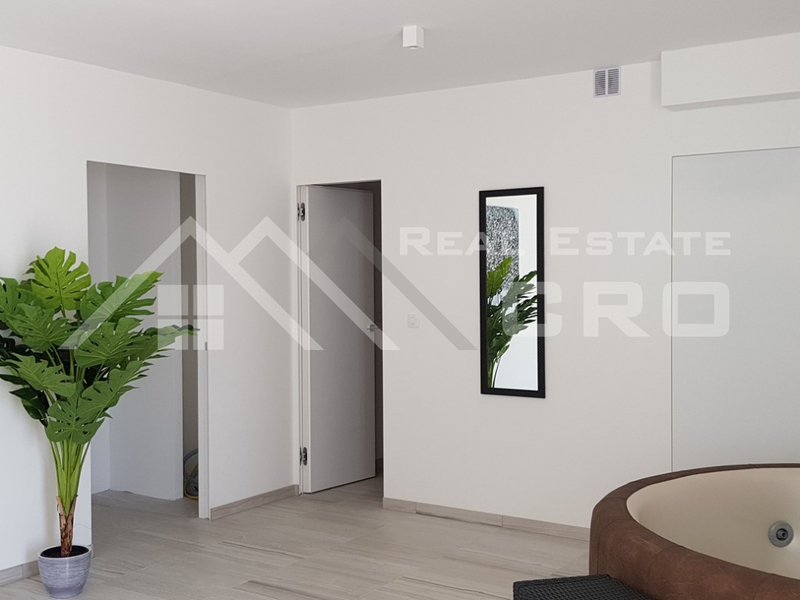 A great number of big windows and glass doors cerate a light and airy atmosphere, and moreover a high quality construction and equipment make this villa a perfect place for a comfortable and easy life. 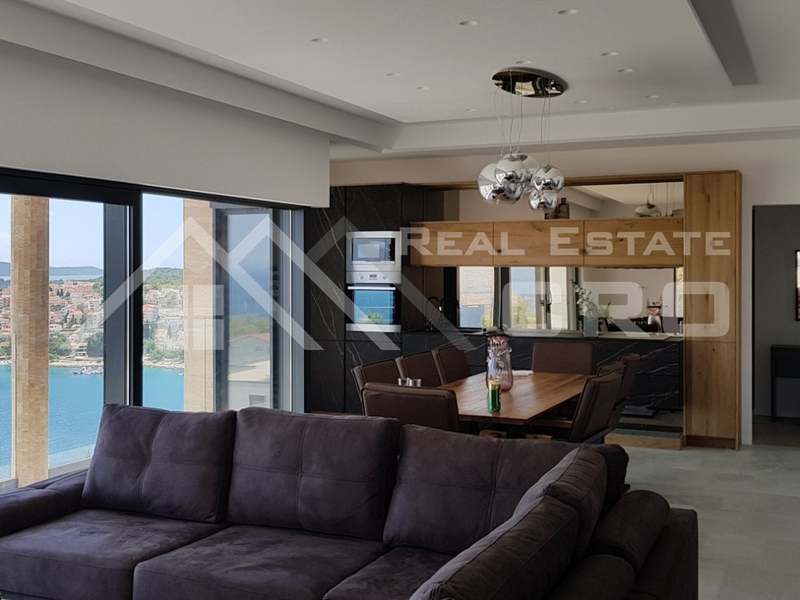 The property is situated in a peaceful surrounding characterized by untouched Dalmatian karst dominated by rocks and low vegetation. 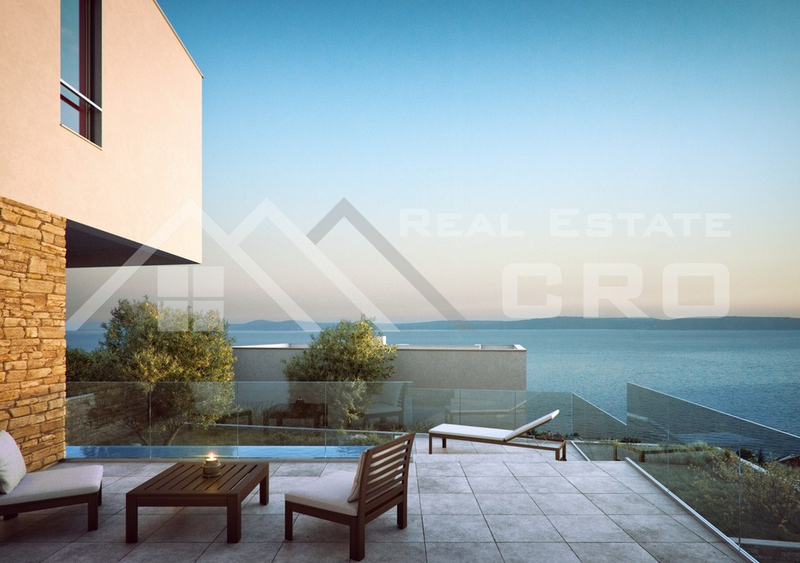 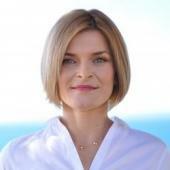 Another important plus side of the location is the vicinity of the international airport.